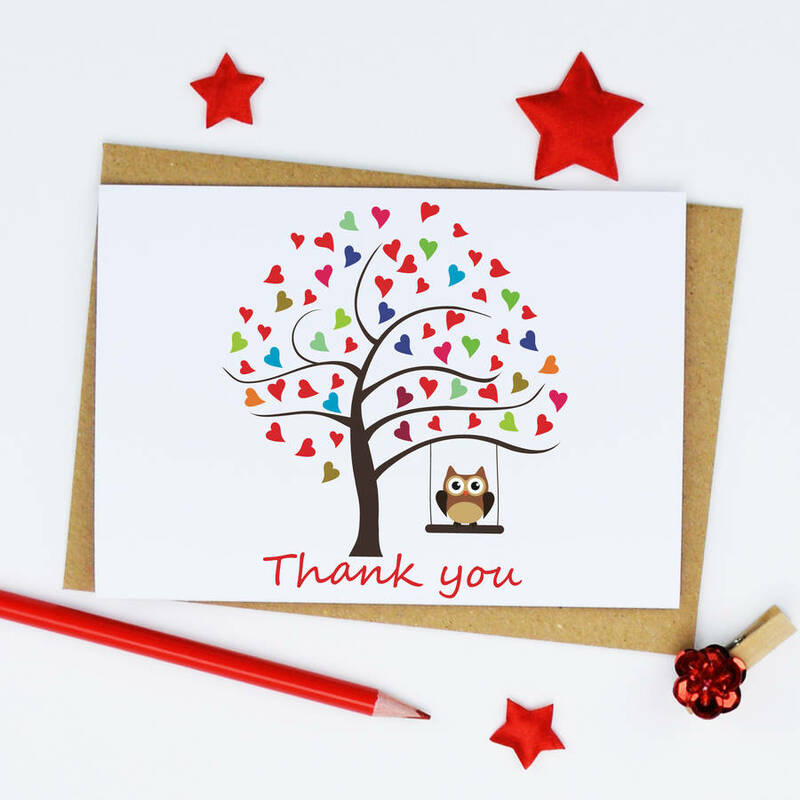 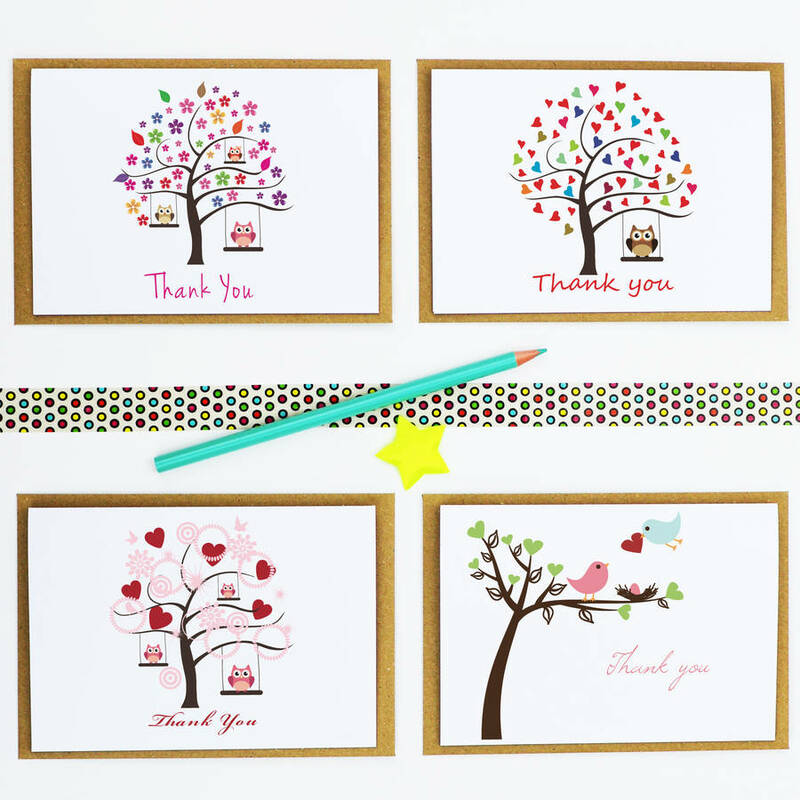 This pretty set of x 4 'Thank You' cards are perfect if you want to show your appreciation to someone. 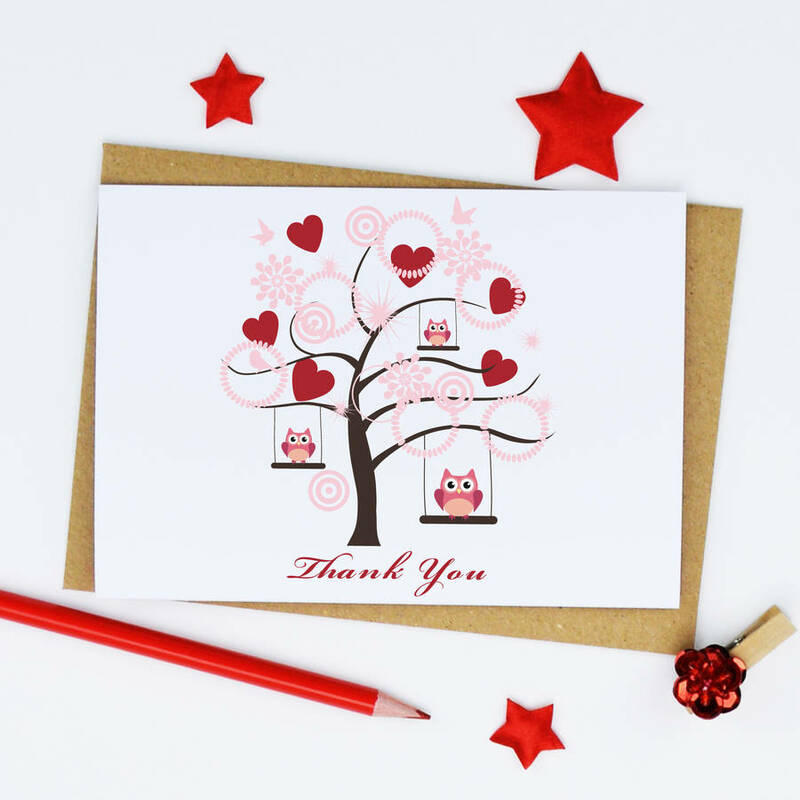 A beautiful selection of Trees, Hearts, Owls and Birds, in a mixture of such pretty colours, will be sure to create a smile to whoever you choose to give one of these to. 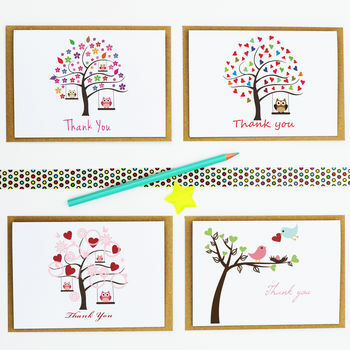 These are such pretty cards for anyone that loves lots of pretty things. 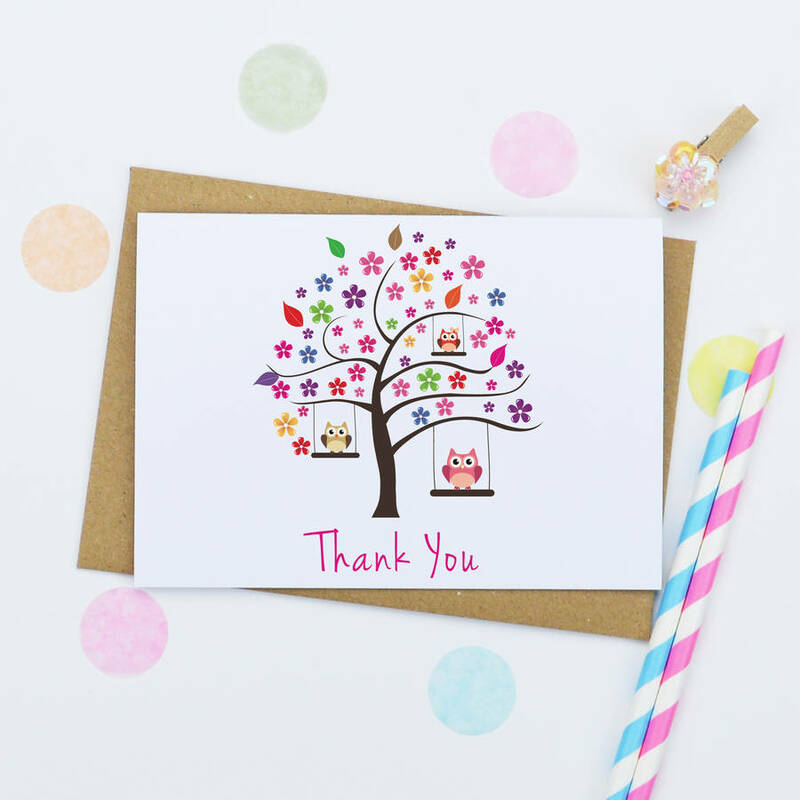 Each card is 300gsm and blank inside for you to write your own message, each card also comes complete with either a matching white envelope, or a brown kraft envelope, and wrapped in a cello bag. 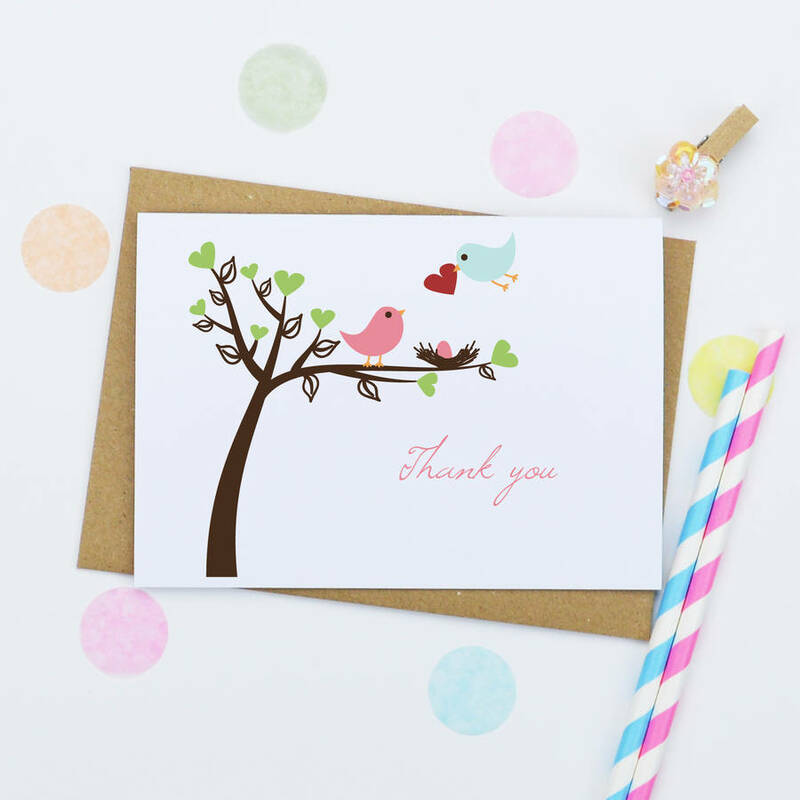 Our cards are made from 300 gsm plain white card.